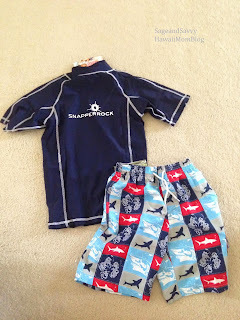 We love to take kids to the beach, and my son recently received a complimentary swim set from Snapper Rock, which not only looks stylish, but offers sun protection too! 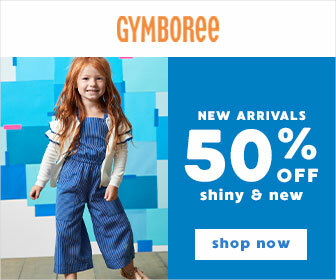 As parents we make sure that what our kids like to wear is what we launch. We ensure that our swimwear has the functionality that parents want - UV protection (blocking 98% of all harmful rays) lightweight, breathable and quick drying without compromising on style. 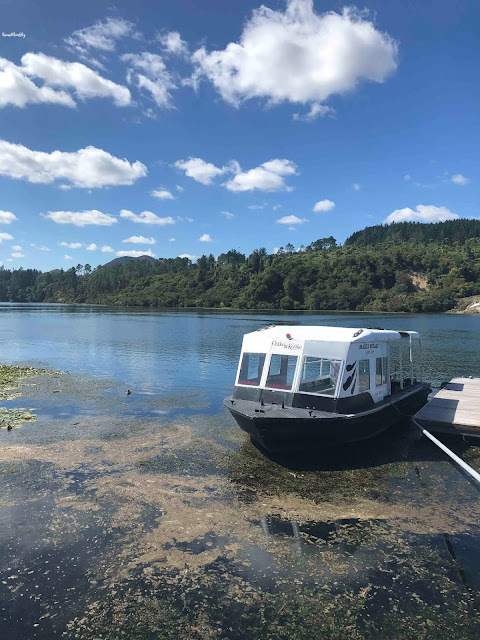 Designed in New Zealand, where our ozone layer is very thin, we have the expertise in ways we can protect our kids in the sun, without taking away their fun. We use the latest fabric technology, colors and designs to ensure Snapper Rock continues to lead this market segment. From baby one piece sunsuits, to cool mix and match swim sets, rash tops, boardies, hats and kaftans, Snapper Rock has your kids covered head to toe. Our new beachwear range features after-sun kaftans, towelling onezies, swimbags, sundresses's and accessories. Choose a set or mix and match our separates to create your own Snapper Rock look. Snapper Rock offers so many cool designs, and I ended up picking the Solid Navy Swim Shirt and the Patchwork Sharks Board Shorts. I love that the shirt provides UV50 protection, and the shorts are lightweight and breathable. 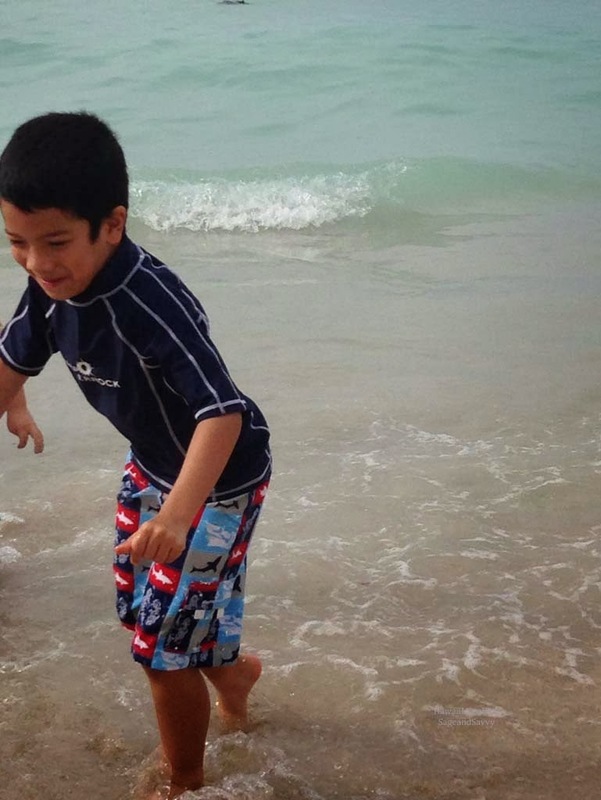 My son had no problems running around the beach and splashing in the water. We are diligent with applying (and reapplying) sunscreen, but having the added protection of a swim shirt that blocks 98% of UV rays is great. So now whenever we go to the beach, my son can look stylish AND stay protected from the sun's harsh rays with the help of Snapper Rock! Thank you to Snapper Rock for the complimentary products. All opinions are my own.